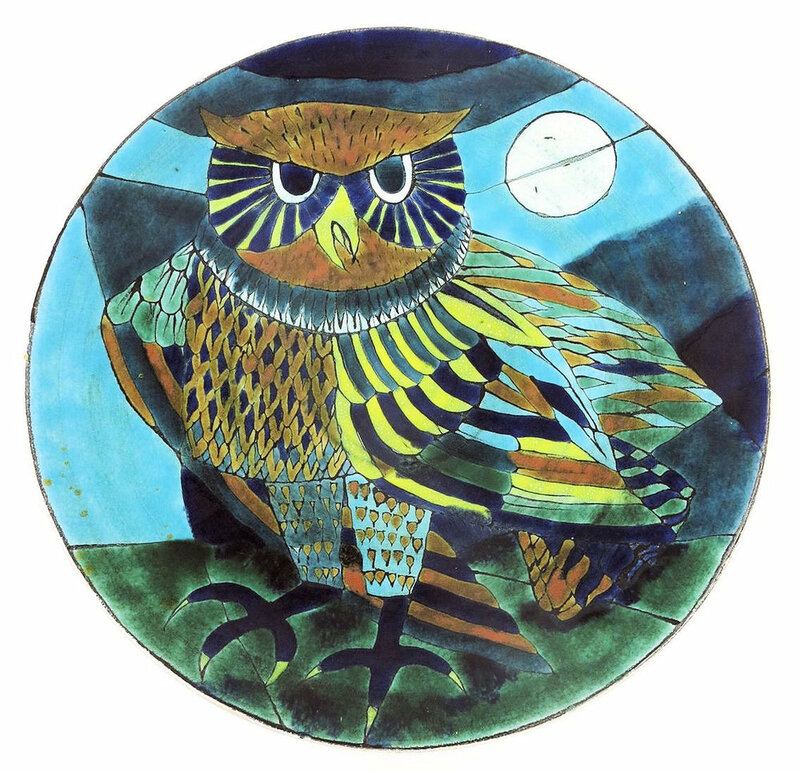 The name Delphis has become associated with the standard range of shapes and designs produced by the new Craft Section at Poole Pottery which was opened in May 1966. The range was a natural progression from the ‘Delphis Collection’ of studio pottery in standardised shapes launched in October 1963. 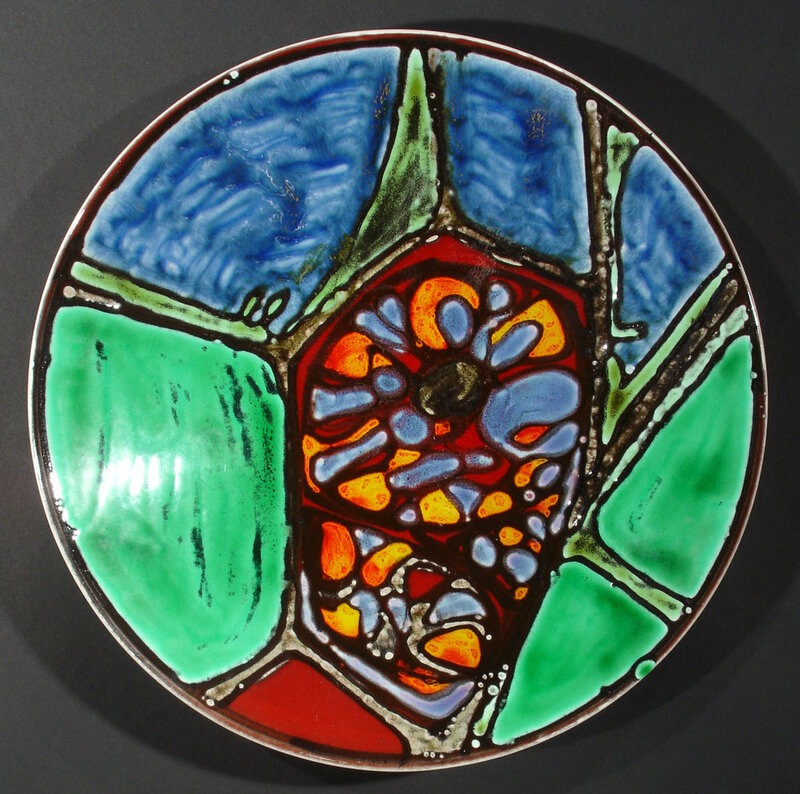 New glazes were introduced following a visit by Guy Sydenham and Tony Morris to the Vallauris factory in France in 1966. These were more reliable than those previously available. Production employed a team of paintresses under the initial guidance of Tony Morris. 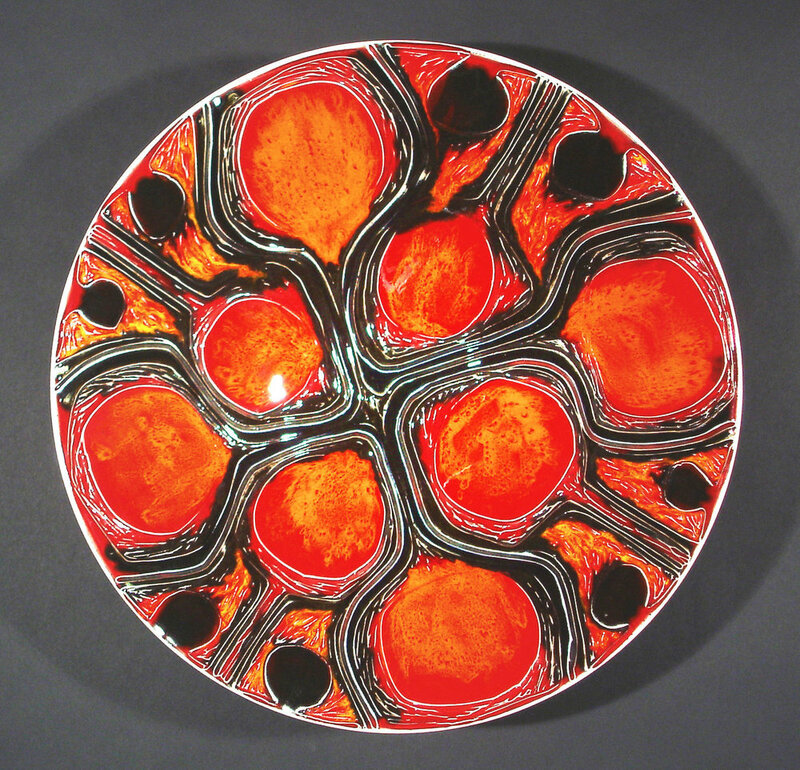 The bold designs and colourful glazes were instantly in tune with 1960's fashion and such was the popularity of the range that the factory struggled to keep pace with demand. 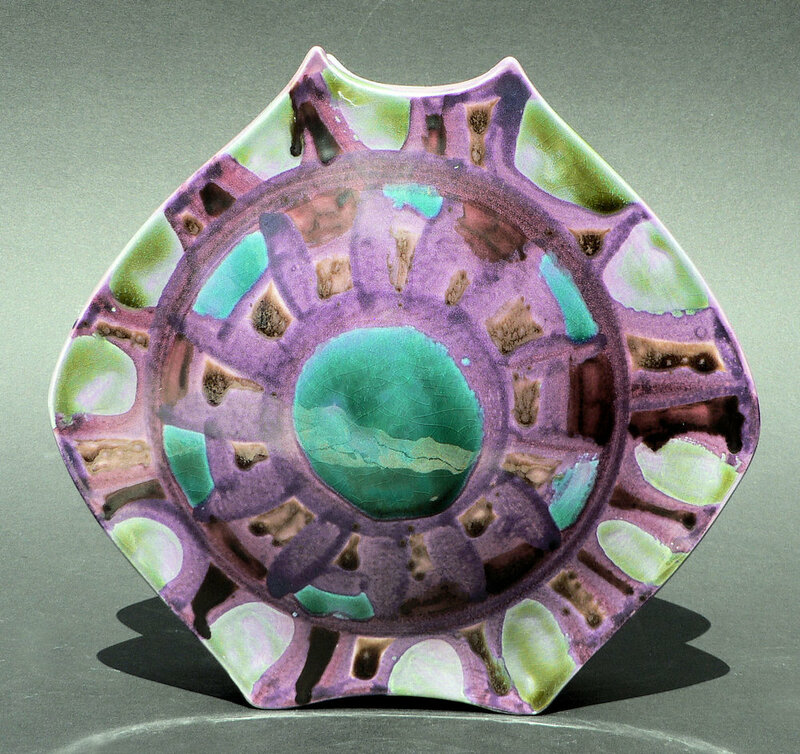 A late studio/early Delphis period plate (16 inches) c.1966. 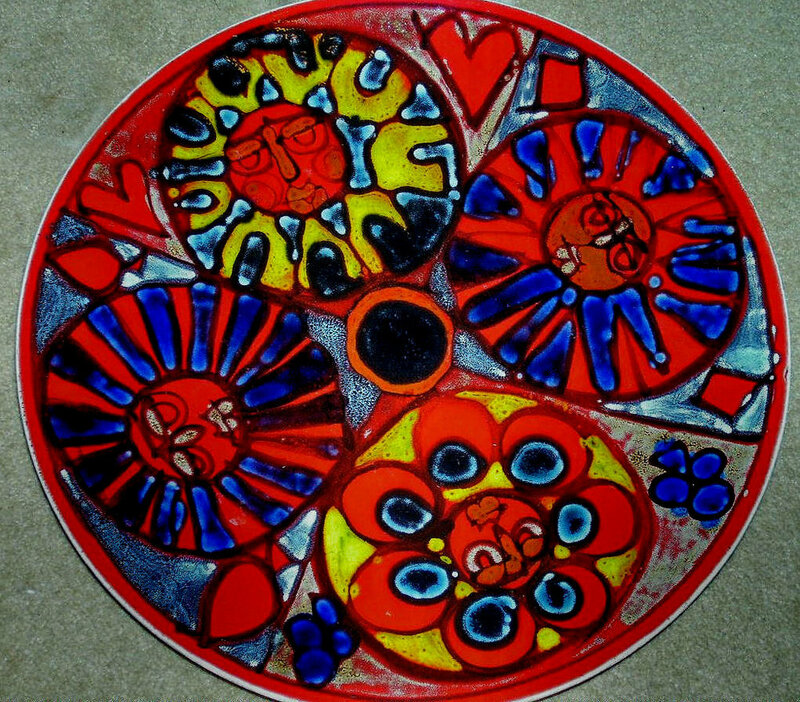 Above - descendants of the early Studio face plates. 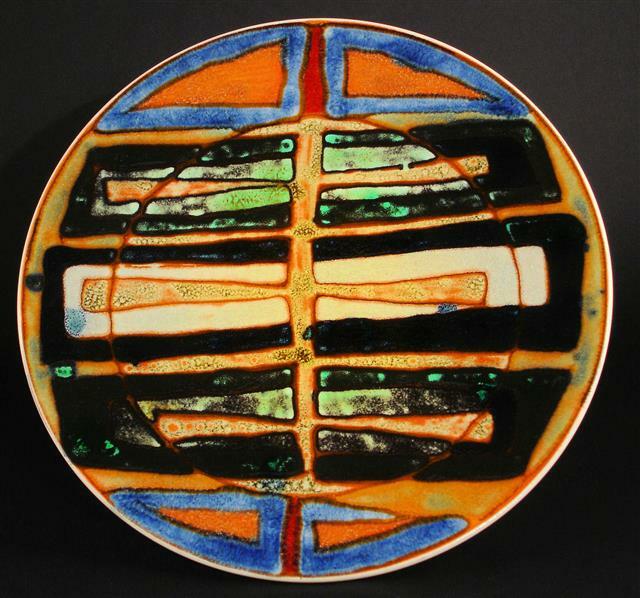 Above - a selection of 14 and 16 inch dishes from the Delphis range, 1966-1970. 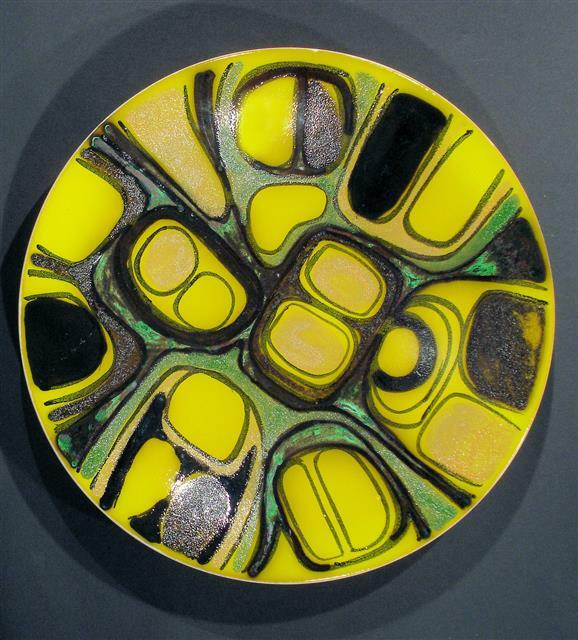 In 1968 the retail price of a 16 inch dish was £5 18s 6d. 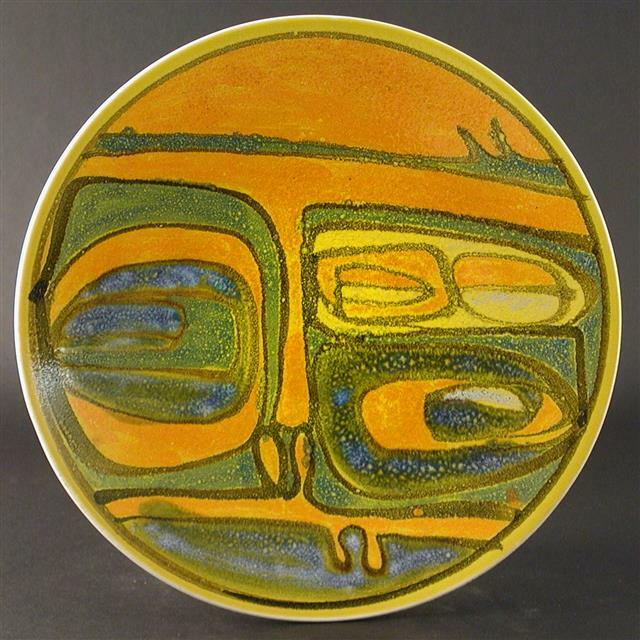 Carved Delphis dishes by Carol Holden, 1966-1969. 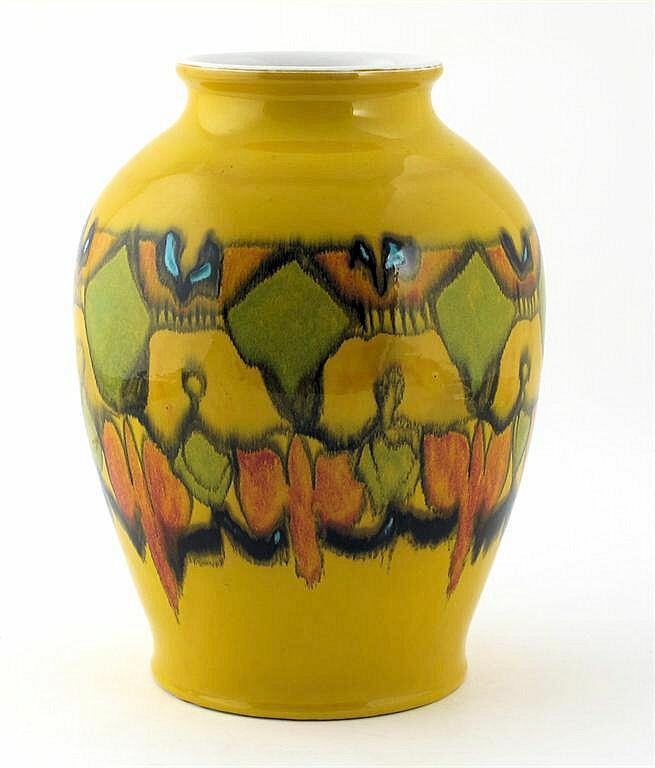 Above - Shape 90 vases (8 inches high), retail price £3 3s 6d (1968). 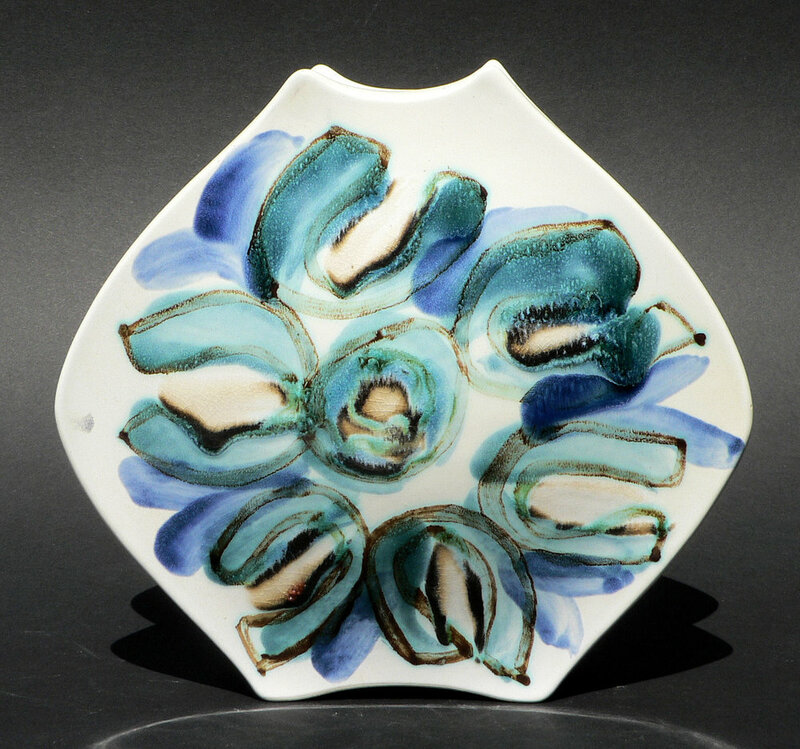 The unusual shape made the vases prone to cracking during firing and examples are quite scarce. 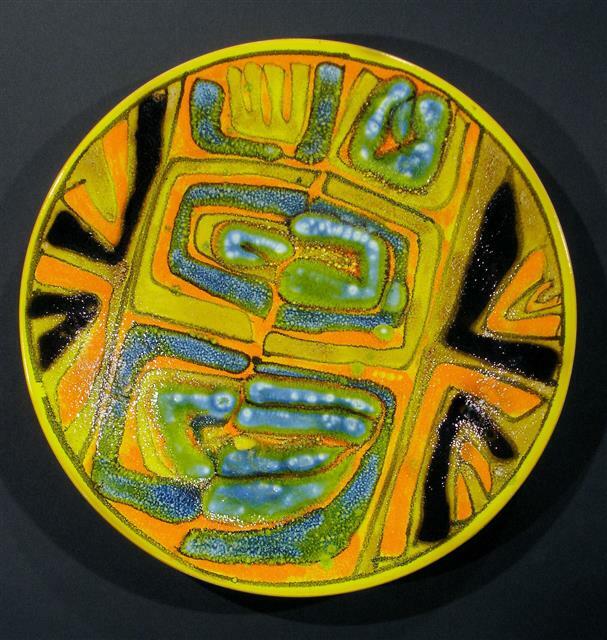 Cockerel in black floor tile clay with Delphis glazes by Jean Millership, 1969.